Our new workshop is equipped with highly specialised diagnostic stations for inspection, repair and recertification of electrical machinery and equipment. Good mainterance should be basic principle for each seagoing vessel. Well preserved equipment is less prone to failure or malfunction. This is small breaker delivered to our workshop from cargo vessel entering annual drydock in Gdynia. 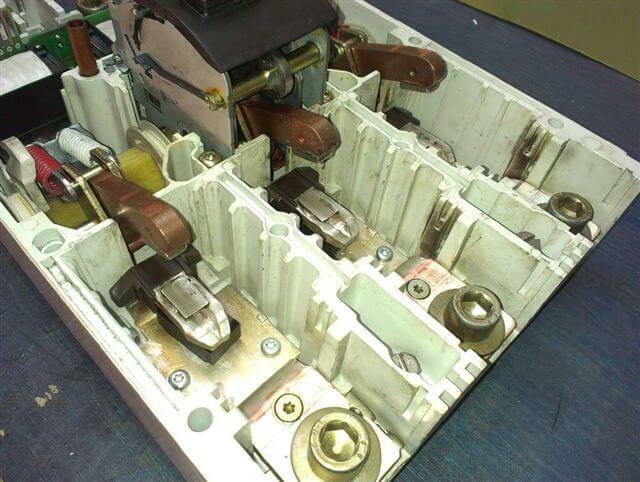 All main ciruit breakers were removed from Main and Emergency Switchboards and were delivered to our workshop. On our diagnostic desk all of them were opened and inspected. Every one of them had contacts damaged from long term use and “under load” openings – some of the springs were little loose it caused vibrations on contact which created even more damage to surface. 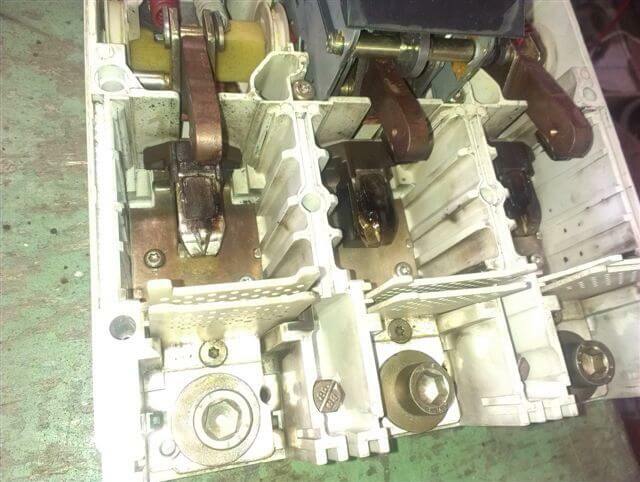 All breakers were evaualted by our staff for overhaul. First step was to clean contact and polish them. After that all tension springs were regulated to give best possible contact surface. Next, we have tried opening and closing the breaker manually for about a hundred times – each time the breaker should open or close properly and evenly. Overall appraisal of mechanical part after that is usually complete. 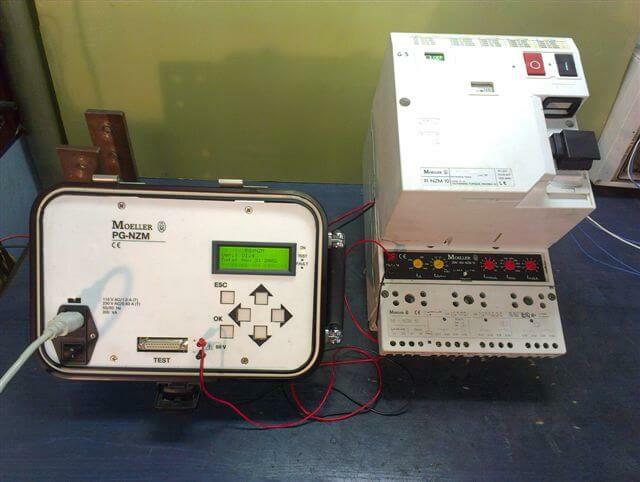 Next step is to test the safety block – different breakers have different block but on this example we do not need to use diagnostic station where we can test all functions (short circuit protection, overcurrent, undervoltage…) for this particular breaker series we have special test tool which can aid service man in inspection of all functions. 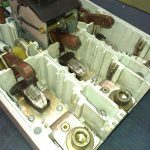 If all test carried out are passed, the breaker is found “in good condition” and is ready to be presented to the owner or class representative – usually all of the tests are carried out again or our certificate is sufficient proof of mainterance has been carried out. 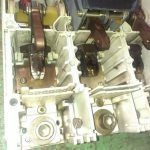 Sometimes it happens that device is in such poor state due to lack of conservation that breakers cannot be repaired anymore. In such sitiations our design office usually prepares a replacement of identical type. Later new device is installed in place of broken one. 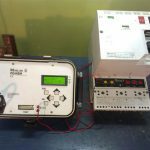 We do mainterance on different electrical or automation equipment: engines, control boards, telephone centrals, fire alarm panels, radios, survey equipemnt. We are also able to carry out PAT tests for clients. If you have any inquiries for us for mainterance or inspection – do not hesitiate – contact us.